So the table is old, and for something new I tried a new paint brush as well as a new brand of paint. 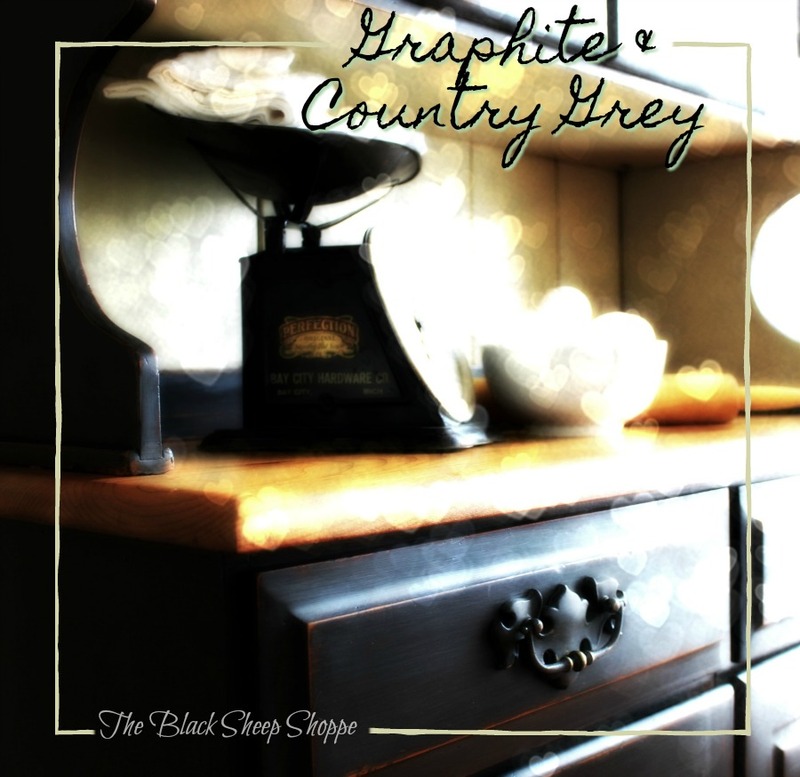 I didn't borrow anything, but the paint is blue, hence the blog post title. 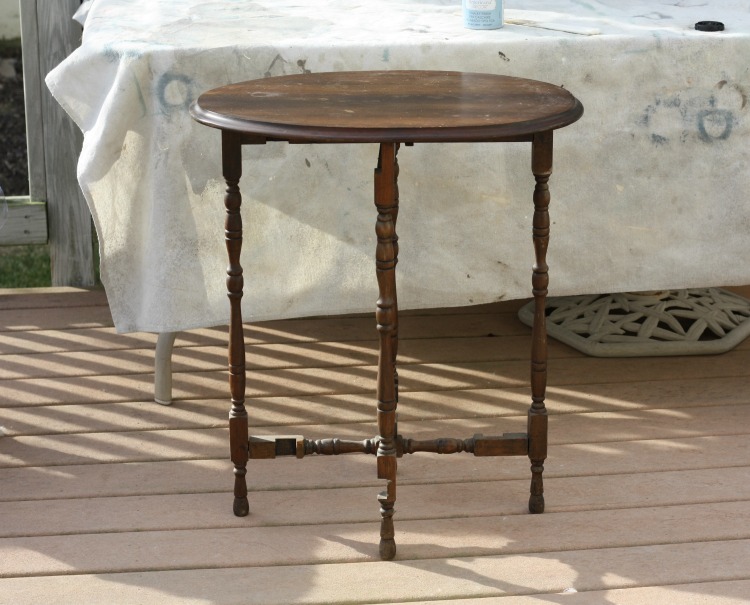 I picked up this vintage gate leg folding table at a thrift store this summer.. 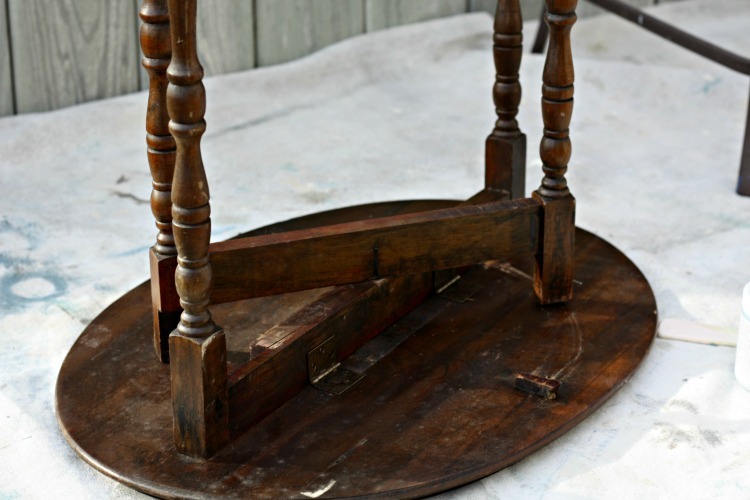 The legs swing together so the table can be stored flat. A small project like this is great for practicing new techniques without the investment of a lot of time or money. One thing I've learned is the paint brush used on a project can make a significant impact on the final results. The new brush I purchased for this project is an angled china bristle brush with a short handle. It fits my hand well and is great for painting in tight spaces. 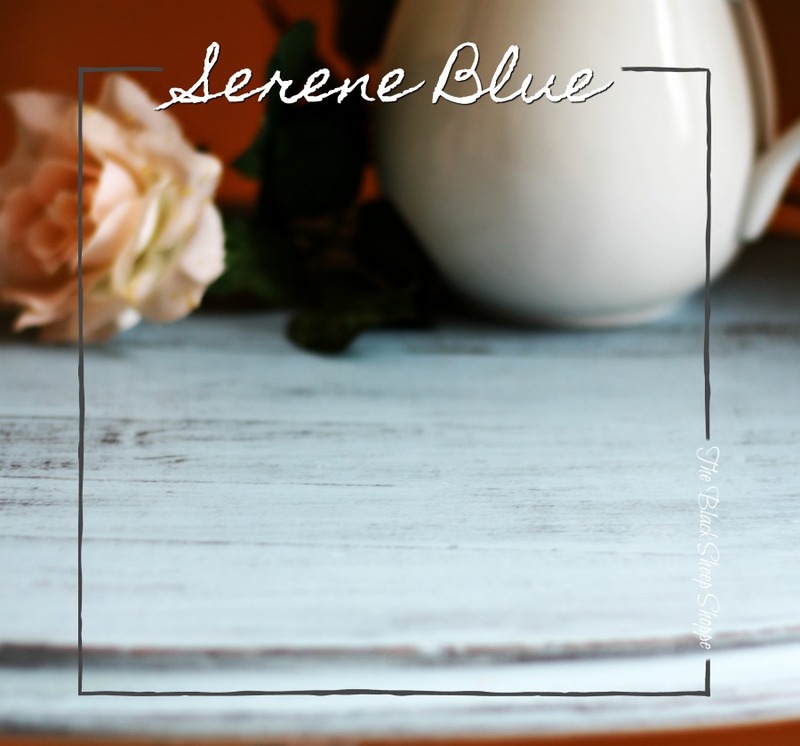 The new paint is Serene Chalky Paint by Americana Decor. 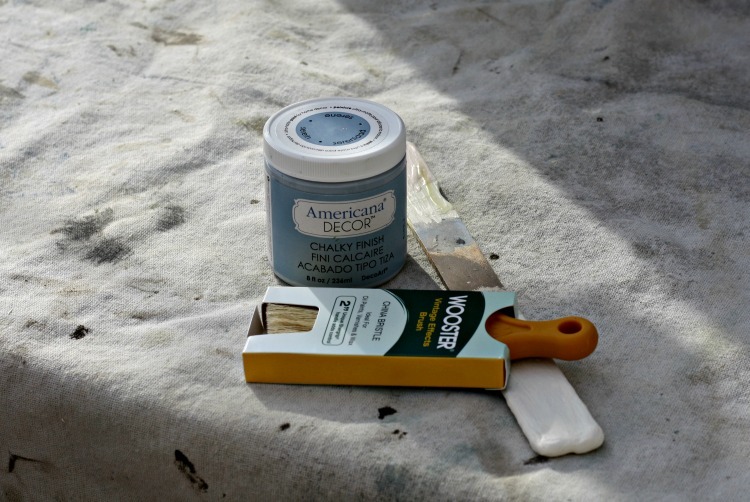 I typically use Annie Sloan Chalk Paint because you can't beat the quality, and I've tried some chalk-type paints but wasn't thrilled with the results. The color drew me in on this paint, so I decided to give it a try. 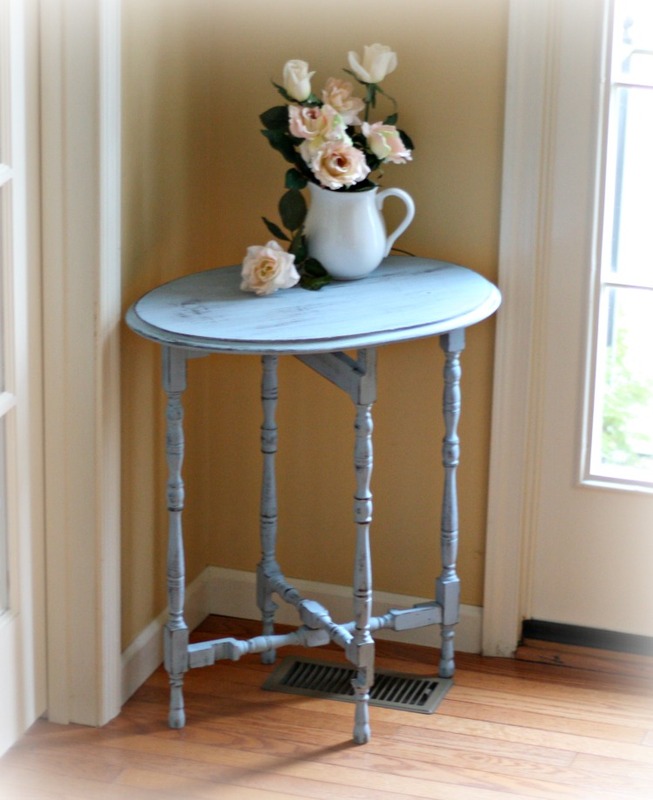 The angled brush was perfect for painting the spindles as well as the flat sections of the table. 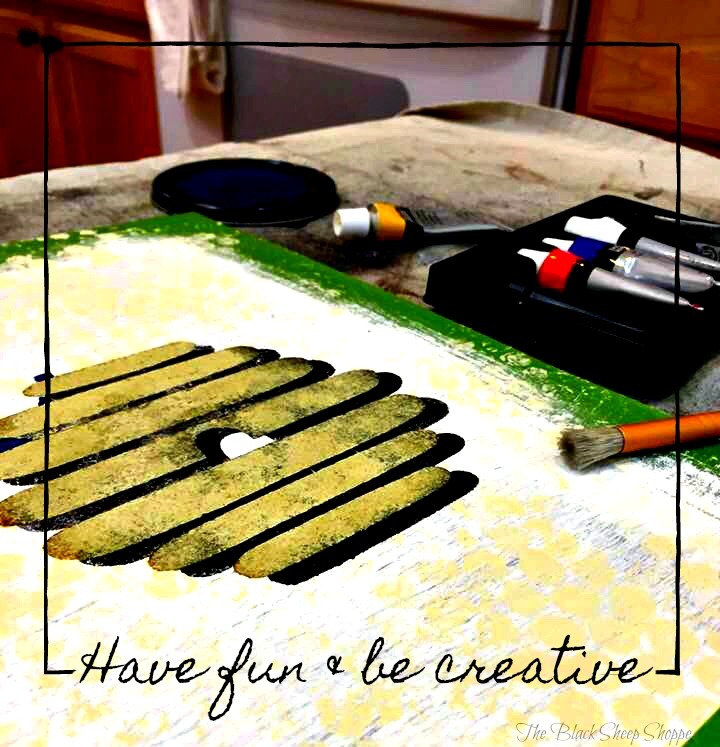 To quickly paint spindles, move the brush quickly back and forth in sections around the spindle. Then give it a couple of vertical swipes with the brush to smooth the paint out before the paint dries. 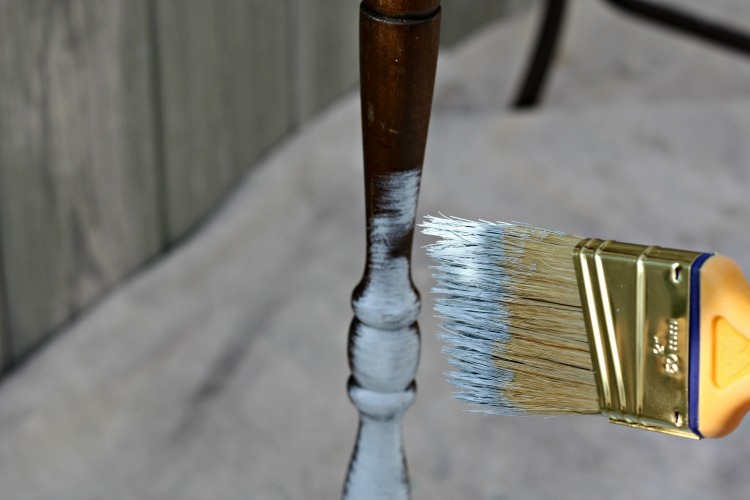 Quick method to paint spindles. I sanded the paint with a fine sanding sponge followed by 220-grit sandpaper for heavier distressing. 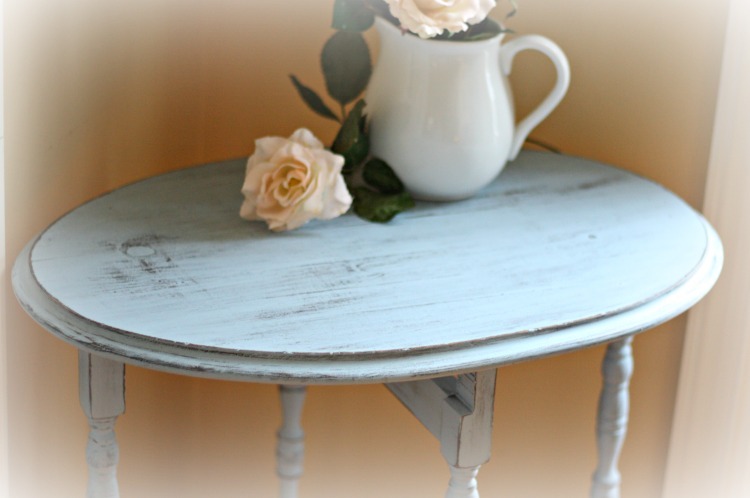 Vintage table painted in Serene blue. I sealed the paint with the Americana Decor creme wax. The wax was thin and easy to spread. 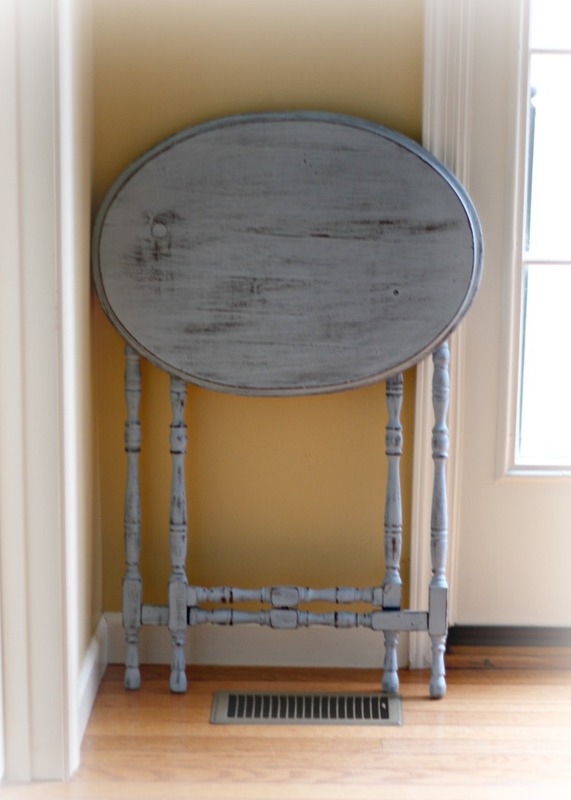 Shabby chic distressed table top. The table folds up flat so it's easy to tuck away in storage when not in use. The table folds up flat for easy storage. 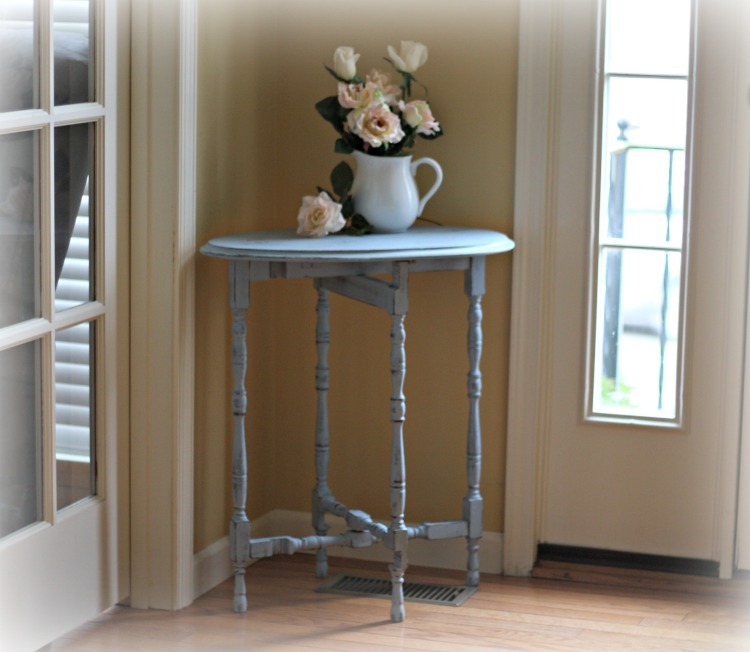 Shabby chic vintage gate leg table. Below are the supplies I used for this project. Some links are affiliate links. port and understanding! Wooster Vintage Effects paintbrush (2" angled china bristle). This is one of the BEST brushes I've used so far! Love it!